Motorola can offer the Exynos 7 Series 9610 processor in these new smartphones, and the devices can be based on Android One OS. 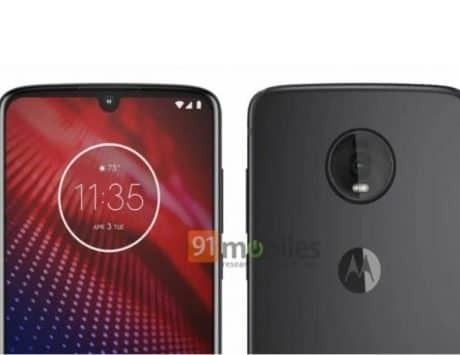 Lenovo-owned Motorola might be planning on unveiling two new mid-range devices with Samsung’s Exynos 7 Series 9610 processor under the hood. These smartphones are also likely to be a part of Google’s Android One initiative, as per 91mobiles report. For a long time now, Samsung has been approaching other OEMs to get them to use its Exynos chipsets. This move, if successful, can put Samsung in direct competition with Qualcomm, which supplies to all the major smartphone makers. Currently, the only other manufacturer who uses Exynos processors in its smartphones is Meizu. Before this, some of Lenovo’s devices have also used Exynos processors. Samsung currently garners the third spot in the mobile processor industry, mostly because of the wide range of smartphones it offers. However, with more OEMs onboard, Samsung could manage to give Qualcomm and MediaTek tough competition on this segment. However, it’s still just a rumor and can’t be confirmed for sure. Samsung unveiled its mid-range Exynos 7 Series 9610 SoC back in March 2018, with deep-learning based image processing support. Built for the upper mid-range smartphones, such as Galaxy A-series, Samsung’s Exynos 9610 SoC is built on the 10nm FinFET process, the chipset is designed to offer the right mix between power and energy efficiency. The Exynos 9610 octa-core CPU comes with four Cortex-A73 cores running at 2.3GHz and four Cortex-A53 cores running at 1.6GHz. The GPU is a Bifrost-based ARM Mali-G72, which Samsung claims to offer realistic and immersive graphics. “The Exynos 7 Series 9610 is our latest mobile processor that delivers on added power and speed. But more importantly, it sets a new performance standard for high-end devices with its deep learning vision-image processing solution and slow-motion video capabilities that change the way we engage with our mobile devices,” said Ben Hur, Marketing Vice president of Samsung Electronics at the Launch of Exynos 9610 SoC back in March 2018.